Are you a member of the Maple Street Community Garden? Looking for ways to participate? Look no further! The gardening committee is responsible for plant maintenance during the growing season. This includes, planting, weeding, watering, harvesting and composting. 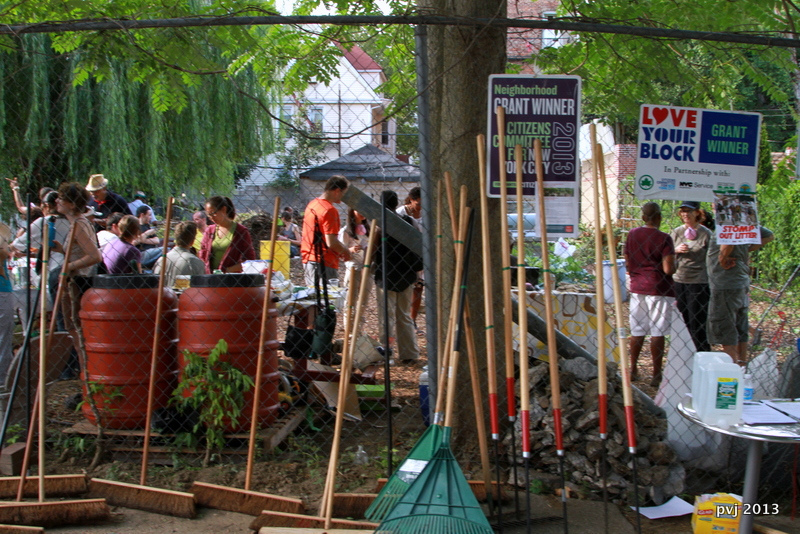 The composting and watering committees work under the gardening committee. In April 2014 we built a three-bin composting system. We need help turning the compost, monitoring compost collection, and accepting compost donations from local residents. Water from our rainwater harvesting system is used to irrigate our 13 planting beds. Each year we develop a watering schedule for the growing season. The outreach committee is responsible for recruiting new members and notifying the community about our events by posting signs in the neighborhood and posting on the website and social media sites. The outreach committee is also responsible for party planning. The maintenance committee is responsible for repairs to the compost bins, planting beds, shed, rainwater collection system, and general upkeep of the property. The external affairs committee is responsible for applying for grants, maintaining relationships with the community by communicating and meeting with politicians, local businesses and neighbors. The finance committee sets the annual spending budget, collects dues and deals with general garden finance issues.